All photographs © 2014 Dan Gilman. 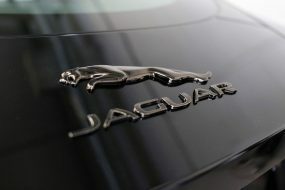 The Jaguar badge has always symbolised the epitome of British sports cars although in later years the name has become synonymous with luxury saloon cars. 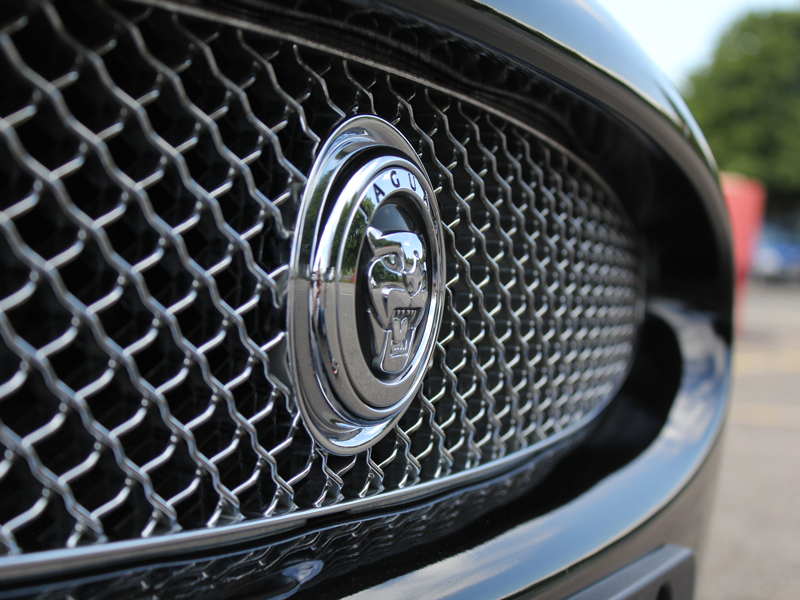 The XK model was launched as a grand tourer series in 1996 with the second generation unveiled ten years later. Designer Ian Callum claimed his inspiration behind the curvier, full bodied look was the actress, Kate Winslet! Curves aside, the new style XK isn’t to everyone’s taste. 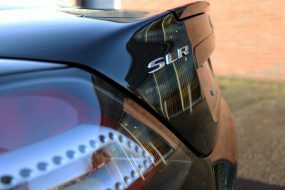 There can be no arguing the body styling for the new XK-R S is entirely given over to performance, sacrificing the more traditional Jaguar-look favoured by some enthusiasts. 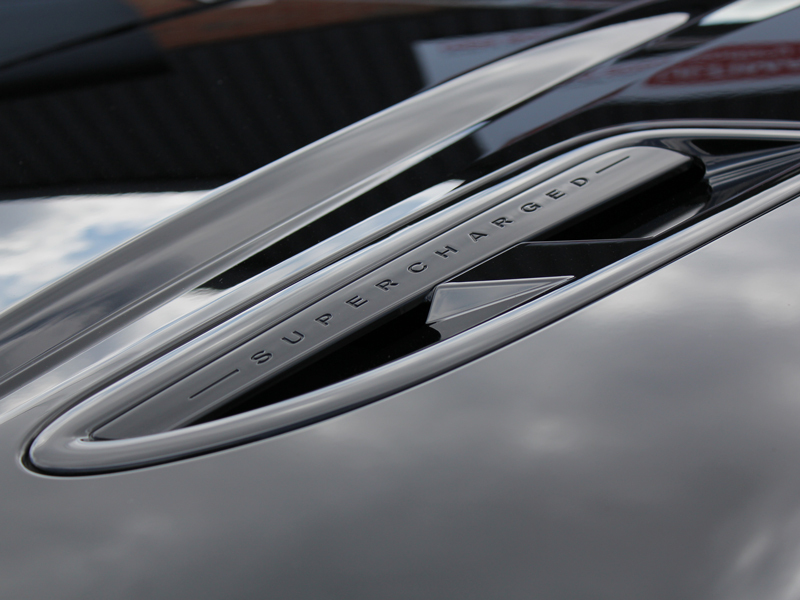 None can argue however, that the supercharged XK-R is a driver’s car. A 5 litre V8 engine putting out 542bhp and enough torque to excite even the most hardened of track day drivers, is accompanied by the most amazing throaty grumbling noises! 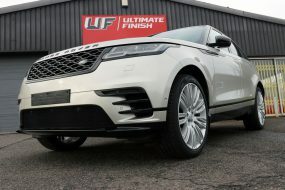 A Performance Active exhaust makes sure everyone knows this car is around the corner whilst for the driver, the Adaptive Dynamic set up, Active Differential, 10mm reduced ride height and a 0-60mph in 4.4 seconds gives a thrill that coaxes goose bumps from the most unflappable of adrenaline junkies. 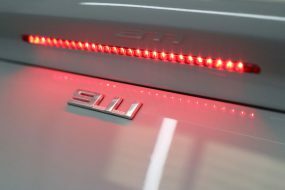 Of particular note, the new design featured an aluminium monocoque bodyshell to support load stresses over the length of the vehicle as well as through the chassis, providing a more stable drive through twists and turns, even in the cabriolet. It looks the part too, as the aggressively styled bodykit features a front splitter, lower side sills, a rear wing with a dash of carbon and a rear apron with a carbon diffuser. The 20 inch forged Vulcan alloy rims are ultra-lightweight – actually shaving 4.8kg off the overall weight – which of course helps with the fun factor. Practicalities have not been forgotten however; the front splitter isn’t so low as to take issue with speed bumps and the vertical slits in the side skirts actually channel air flow to give better directional stability when driving at speed. For convenience, the convertible canvas roof deploys (and retracts) in 20 seconds, (it is, of course, fully automatic) and the interior is refined and elegant. This car is an amazing grand tourer with definite super car accents. 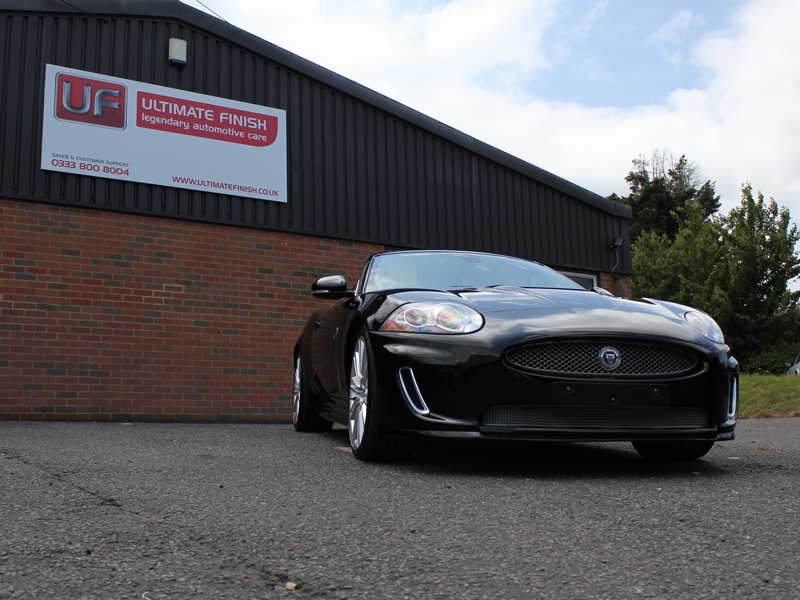 Arriving at the Ultimate Detailing Studio for a Gloss Enhancement Treatment the initial paintwork analysis didn’t highlight too many swirls and blemishes. The detailing process began with treating the bodywork and wheels with Bilt-Hamber Korrosol to remove the iron contamination. The colour change function of Korrosol shows where the product is working on particles. In this instance the wheels in particular were quite heavily contaminated as demonstrated by how much the colour did change. 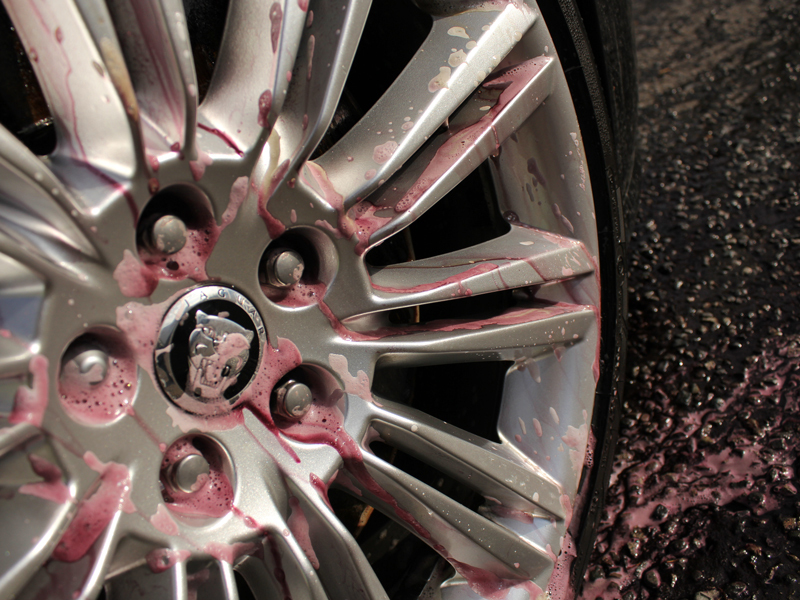 It’s not surprising though – it’s not a brand new car, it does get driven regularly, if not every day – and the wheels didn’t have a proper sealant on them to inhibit the build-up. – Master Detailer, UDS. 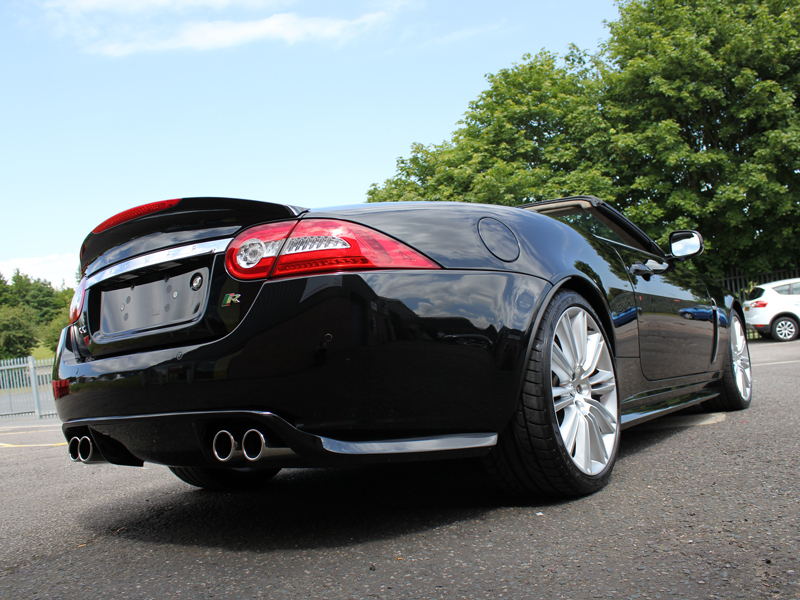 Rinsed clear of Korrosol, the XKR-S bodywork, wheels and engine bay, along with boot, bonnet and door shuts were degreased using Bilt-Hamber Surfex HD. Then the wheels were cleaned again, this time using Valet Pro Bilberry Wheel Cleaner. 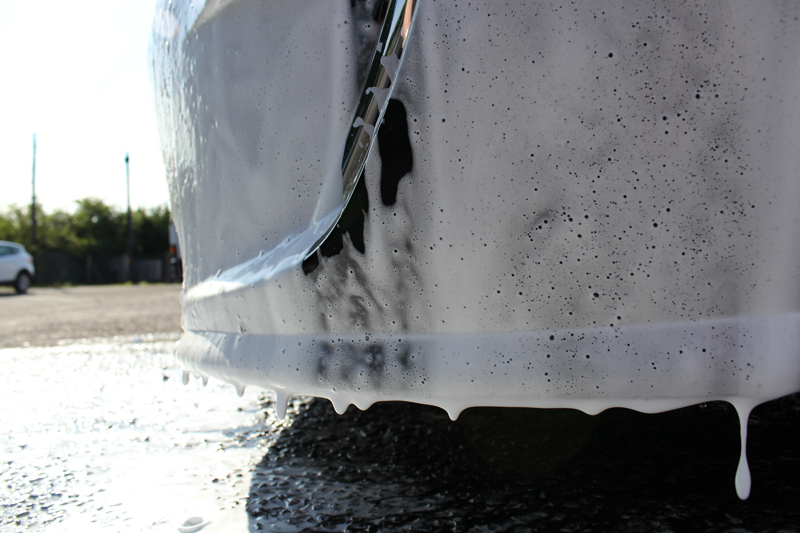 As the final part of non-contact preparation process, the car was covered with Ultimate Snow Foam to remove the larger particles of dirt from the surface of the bodywork. Once this had been allowed to dwell for a few minutes the XKR-S was rinsed again before being washed using the Two Bucket Method, Supernatural Shampoo and a Microfibre Madness Incredimitt. After being rinsed clear of suds an Aqua Gleam de-ionising water filter was connected to the hose and the car was given a final rinse using the pure water system. The fabric hood was washed using a fabric cleaner, then thoroughly rinsed and allowed to dry. Prior to carrying out machine polishing, several paint depth readings were taken from each panel. This allows the detailer to see how much paint there is to work with. 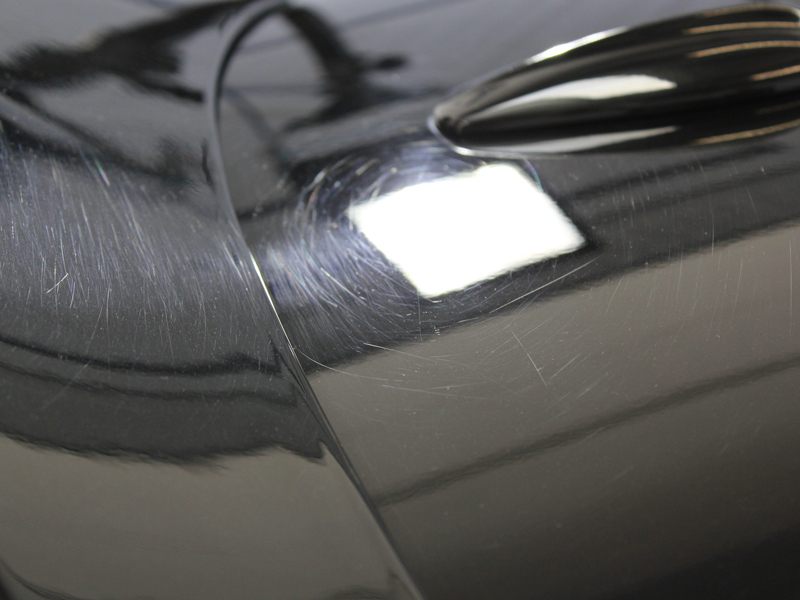 Where the paint is thinner it indicates areas that may have been overworked on previous occasions, whilst areas of thicker paint indicate a respray has been carried out at some point. 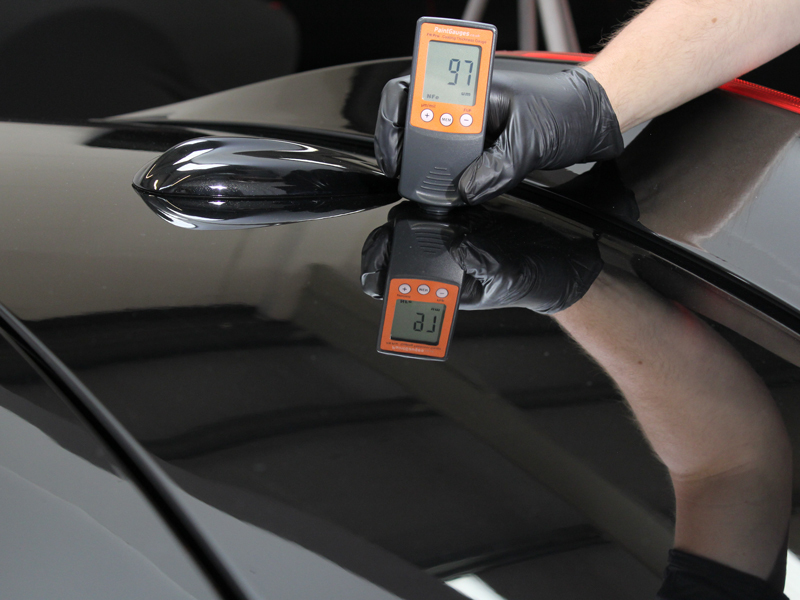 In this instance the paint depth readings were about average for the vehicle in question, indicating the paintwork had neither been overworked nor resprayed. 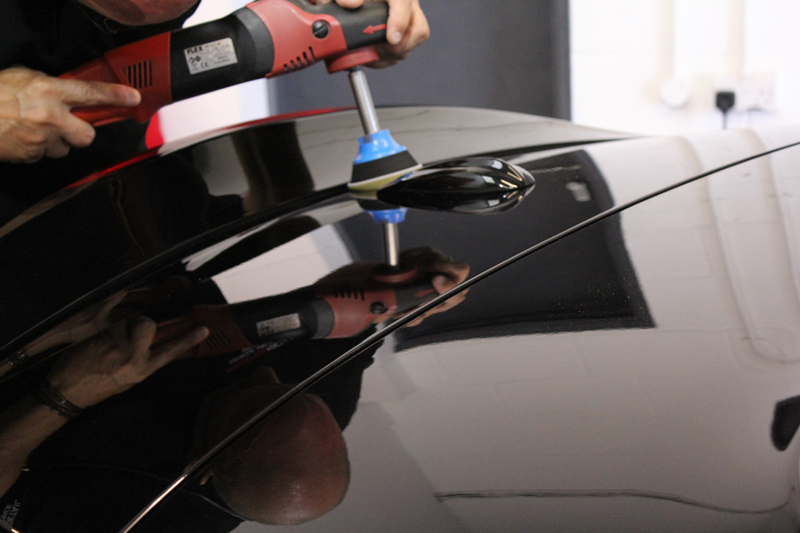 Taking into account Jaguar paint is typically intermediate in hardness, for the machine polishing process PolishAngel Master Compound Polish I and a 3M Yellow Polishing Pad were selected, using the FLEX PE14-2-150 rotary polisher. After several hours work the paintwork was looking much more refined. 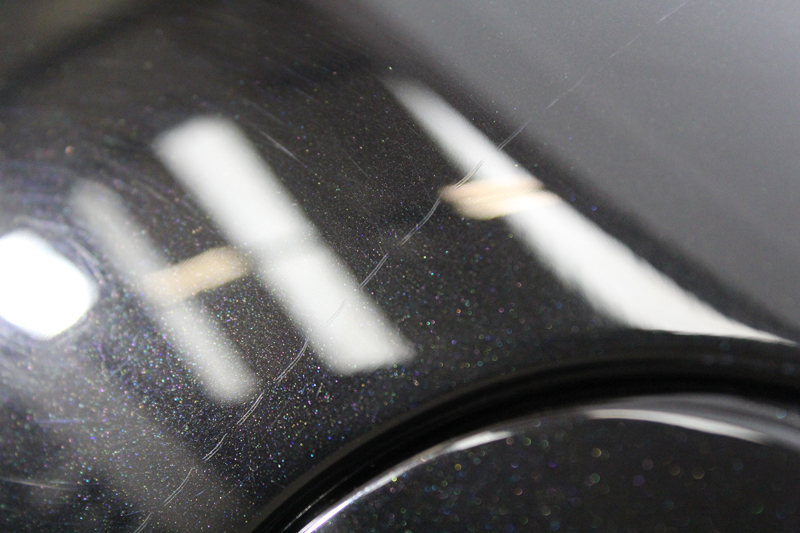 The sparkle in the paintwork started to shine through as the scratches and swirls were removed, bringing the colour back to life again. To protect the paintwork POLISHANGEL® Viking Shield was selected for its durability. 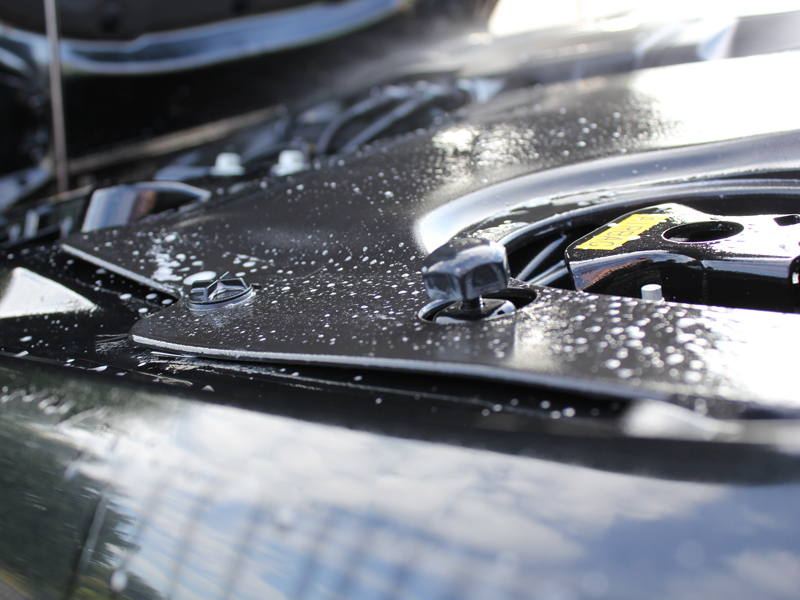 Originally developed to withstand harsh Nordic winters, Viking Shield provides protection from corrosive elements as well as bringing a high shine to paintwork. 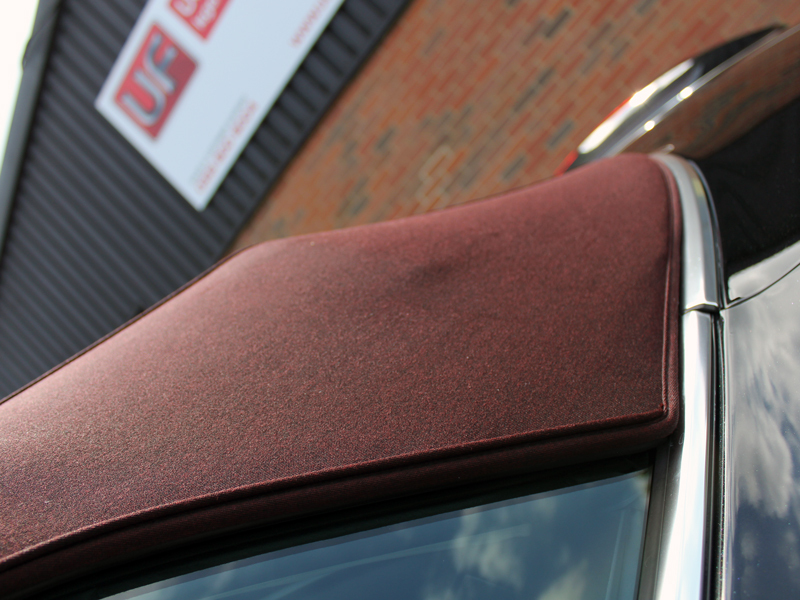 Checking the fabric hood was completely dry so as not to seal in any moisture, Gtechniq I1 SmartFabric Coat was applied to provide a high level of water and weather resistance. 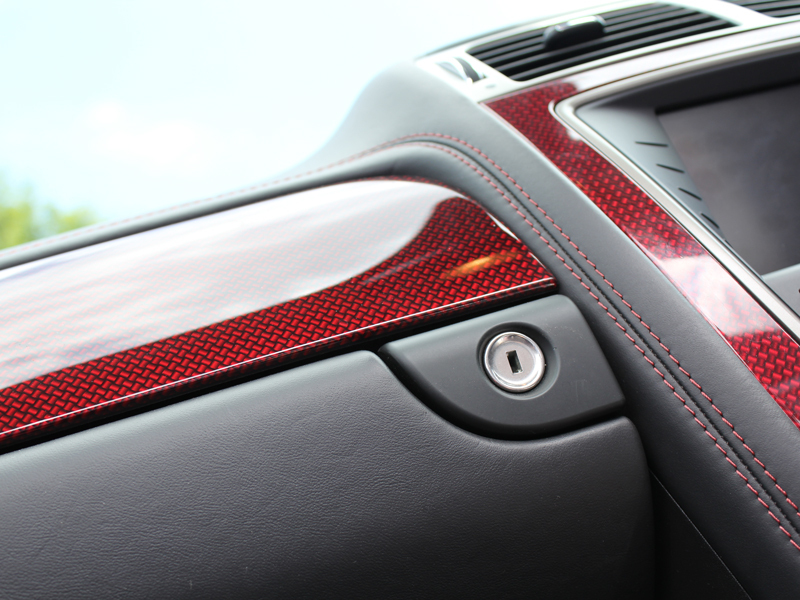 The interior was cleaned using Swissvax Quick Finish Interior; a non-greasy dressing which leaves a natural satin sheen. The leather was then protected using Gtechniq L1 Leather Guard, an abrasion resistant barrier that helps to prevent fading and discolouration from dye transfer. 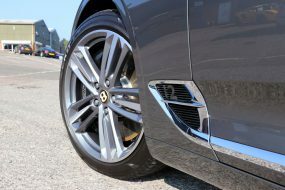 The alloy wheels were protected using Gtechniq C5 Alloy Wheel Armour – this will help to prevent high levels of contamination from brake dust adhering to the surface. 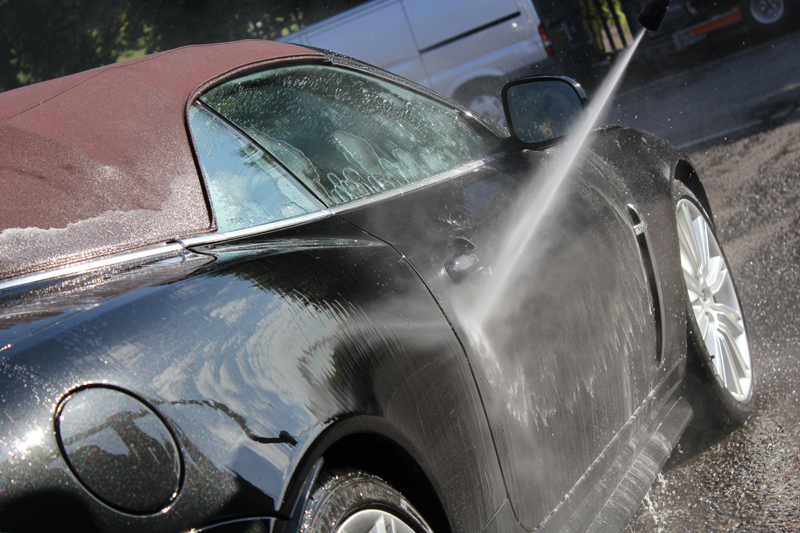 This coating also repels water, dirt and oil to make maintenance washing quicker and easier. The windscreen and side windows were sealed using Gtechniq G1 ClearVision Smart Glass, a water repelling coating that encourages rain to bead on contact, allowing the wind to disperse them easily whilst driving. 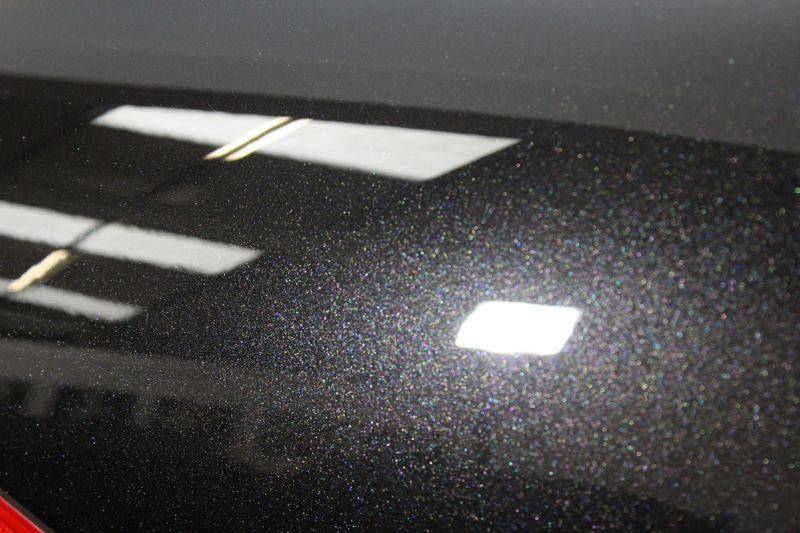 The final results were stunning and the customer was overjoyed when he collected his car, stating it now looked ‘almost’ as good as it sounded!